Occasionally, congregations are presented astounding opportunities to grow. One of those opportunities is upon us. The opportunity is called the Millennial Generation. The number of Millennials in the United States differs depending on whose statistics you trust. However, 80 million individuals seems to be a consensus on the size of the millennial population. In 2014, they range in age from 18 to 33. A great deal has been written about the uptick within the millennial generation who don’t believe in God. What those stories tend to ignore is the 86% of Millennials who say they do believe in God! 58% are absolutely certain they believe in God. 28% believe in God but won’t attach the adjective “absolutely” to describe the degree of certainty to their faith. That sounds pretty much like the members of the Presbyterian congregations I served over the past forty years. So we have 80 million people between the ages of 18-33, 86% of whom say they believe in God, and we are bemoaning the future of our congregations? In Wisconsin, where I grew up, that is called “looking a gift horse in the mouth.” It might also be called an excessive lack of imagination regarding the possibilities inherent within a generation of young adults who poll as optimistic about the future of our nation, don’t want to engage in generational warfare, and love diversity. 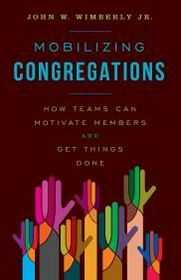 As a consultant, some of my work is with congregations who need to re-imagine why they exist. In my strategic planning conversations with them, I always lift up the Millennials. As we talk about this generation of younger people who have an appropriate, healthy suspicion of religious institutions but strong religious inclinations, the conversation pivots from talk about impending death to possible new life. To use the language of Passover, it pivots from language about slavery in Egypt to discussion about freedom in some future Promised Land. To use the language of Easter, it pivots from darkness in the tomb to envisioning resurrected life in the sun. In these conversations, I like to lift up what happened during my thirty years as pastor of Western Presbyterian Church in Washington, D.C. In 1983, it was a tiny congregation filled almost exclusively with people over the age of 70. By 2000, we had grown considerably in membership and over one-half of our members were under the age of 50. By 2012, when I retired, two-thirds of our 350 members were under the age of 45. Western didn’t attract Gen Xers and Millennials by tossing out traditional worship. We attracted them with quality traditional worship, a strong sense of community, and vigorous mission projects ranging from feeding the homeless at the church to nurturing schools and clinics in various parts of Africa. One of the great myths about attracting younger generations is that they resist traditional worship. In fact, polling indicates that they have only one strong preference when it comes to worship: they want worship to be filled with a sense of authenticity and meaning. One recent poll claims that Milliennials expressed no strong preference regarding church architecture. But the form receiving the highest preference was cathedral -style! At Western, our choir mixed classical music with Christian music from around the world. Our liturgy did not have gender specific references to God. We used younger people as liturgists and ushers. We had three Scripture readings per worship service. Our prayers of the people were led from the center of the sanctuary, not the front. So we blended a few new things in with the old. But our worship still had a very traditional feel to it. As a preacher, I quickly realized that I needed to stop using illustrations aimed mostly at the experiences of boomers or other older generations. For example, the Vietnam War and Civil Rights Movement were almost as far in the past to current college students as World War I was to me when I was a college student. I focused my illustrations to speak about the realities of younger generations such as finding a vocation, love relationships, student debt, and income inequality. Of course, these realities are also trans-generational. While it is well known that Millennials connect via virtual communities, they also have a longing to be part of physical communities. Many of our congregations have been a part of the communities in which they are located for generations. I loved to watch the eyes of Millennials light up when I would tell them that Western Church had been in Foggy Bottom through civil wars and world wars, through the Gilded Age and the Great Depression. As newcomers to the D.C. area, Western was a way for them to become part of the garden into which they had transplanted themselves. Millennials have had mandatory community service work in high school and college. Community service is part of their lives. Therefore, it should not be surprising that Millennials look for congregations that help them serve their communities. Western had a wide range of mission projects that put Millennials to work and, in the process, connected them to one another. So in this Passover and Easter time of year, it is my hope and prayer that we will recognize the Millennials for what they are—the next generation of people who can invigorate the lives of their congregations. 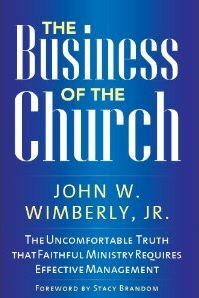 This entry was posted in Uncategorized and tagged church growth, community, generational, millennials, mission, worship. Bookmark the permalink.